AirSatOne (ASO) is an Aviation Satcom Service Provider. Need A Faster and More Cost-Effective Connection to the Internet? Passengers on board your aircraft using our Flightstream™ AOC router as their Wi-Fi hotspot enjoy faster page load times and will use less data. 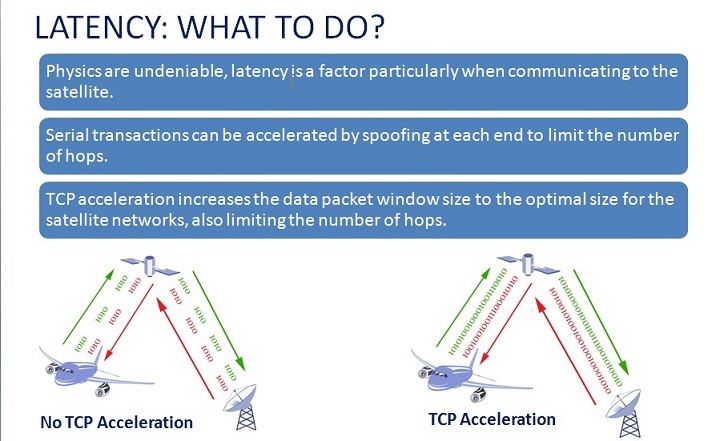 TCP acceleration, two types of compression, caching, and filtering result in a better Internet experience for passengers and reduced airtime cost for the aircraft operator. The Flightstream™ AOC router is pre-configured for plug-and-play installation, which typically takes less than 20 minutes. List price is $7,330 USD and includes a 2-year warranty. The Flightstream™ AOC incorporates a number of technologies to reduce data usage over the satellite or 3G / 4G ATG network and provides a better overall experience for the end-user by utilizing advanced acceleration, optimization and compression. The unit is also specifically designed to account for latency and packet shaping considerations unique to Satcom and 3G / 4G ATG systems. 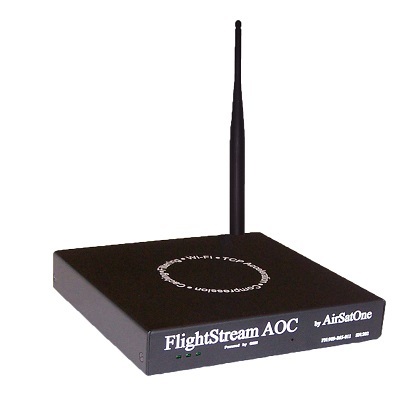 The router uses web caching to save a copy of all visited web content to the Flightstream™ AOC. If a passenger requests content that has already been requested, the Flightstream™ AOC will deliver the content from its web cache, after first checking that the web page is current, instead of requesting the data over the Satcom system thereby reducing data consumption reducing network traffic and freeing up bandwidth for other users. 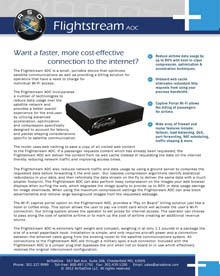 The Flightstream™ AOC also reduces network traffic and data usage by using a ground server to compress the requested data before forwarding it to the end user. 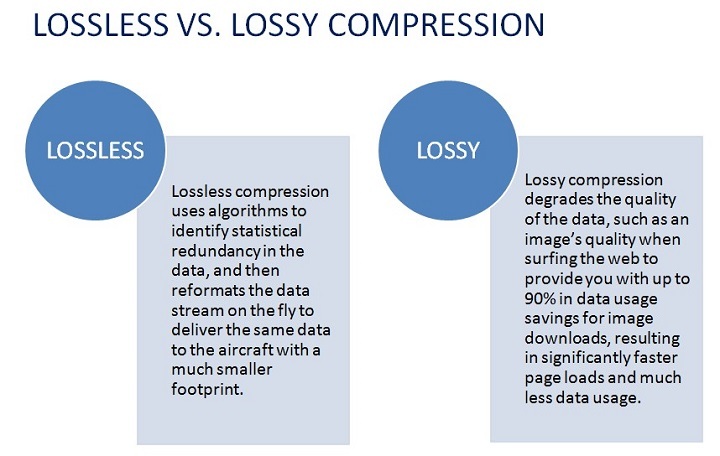 Our loss-less compression algorithms identify statistical redundancy in your data, and then re-formats the data stream on the fly to deliver the same data with a much smaller footprint. The Flightstream™ AOC can also perform lossy compression on the images your web browser displays when surfing the web, which degrades the image quality to provide up to 90% in data usage savings for image downloads. When using the maximum compression settings the Flightstream™ AOC can also block advertisements and remove large background images from the requested web-page. 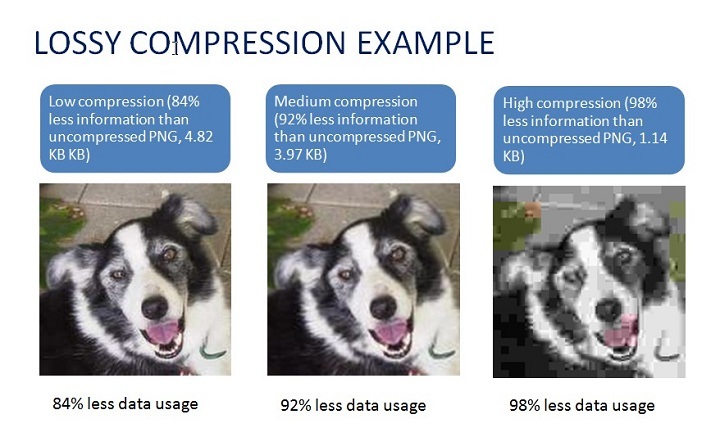 Compression service is $60.00 USD a month. The Flightstream™ AOC is extremely lightweight and compact, weighing in at only 1.1 pounds in a package the size of a small paperback book. The unit can be connected to your existing system wirelessly or via an Ethernet interface. 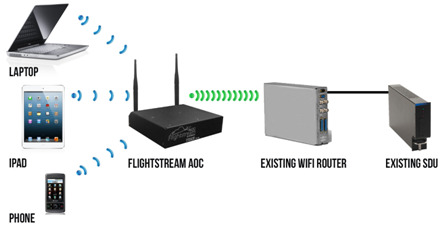 Our wireless connection option only needs a power source of 120VAC / 220VAC or 28VDC and configuration of the existing Wi-Fi router to communicate with the Flightstream™ AOC. Options are available for government, corporate and fleet operators to have a virtual machine appliance running on their own dedicated servers to ensure security and privacy. 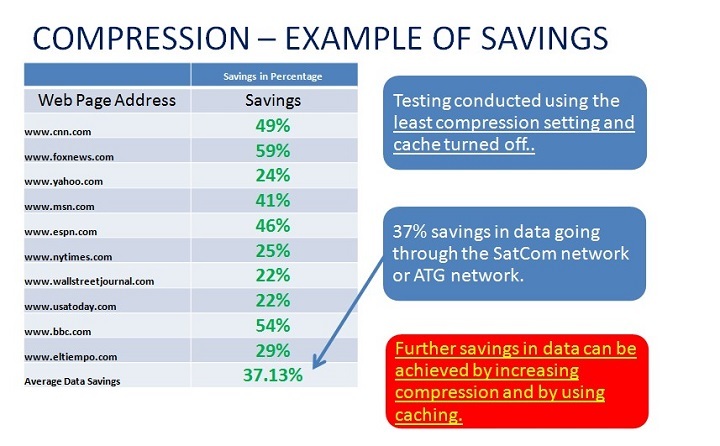 Reduce airtime data usage by up to 80% with best-in-class compression, optimization & acceleration techniques. 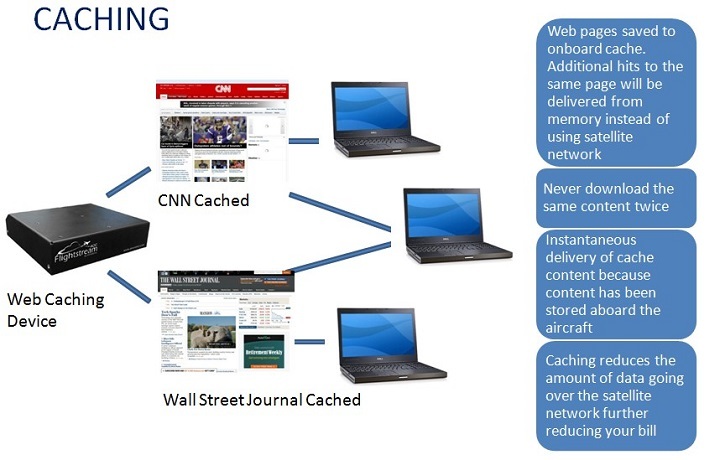 Onboard web cache eliminates redundant http requests from using your precious bandwidth. Captive Portal Wi-Fi allows the billing of passengers for airtime. Wide array of firewall and router features include: failover, load-balancing, QoS, port-forwarding, NAT scheduling, traffic shaping & more. Prepaid Internet Access (Captive Portal): Prepaid internet access by megabyte or time. Virtual LAN (VLAN): Allows multiple isolated LANs and WANs with external VLAN switches. To request more information regarding Flightstream™ AOC, please use the form below.